It's February, and that only means only one thing-it's Fashion Week! It's time to take in the street-style, hit the shows and mingle at events. But first up you've got to plan your outfits. I turn to magazines, social media and the internet for all kinds of inspiration when putting my outfits together. One retailer that is always on my radar is Tu. The clothing is all kinds of unexpected and it's amazing to get a reaction of "Oh my god, now way I thought it was designer?" to those stand out pieces you just wouldn't expect to be found in a supermarket. 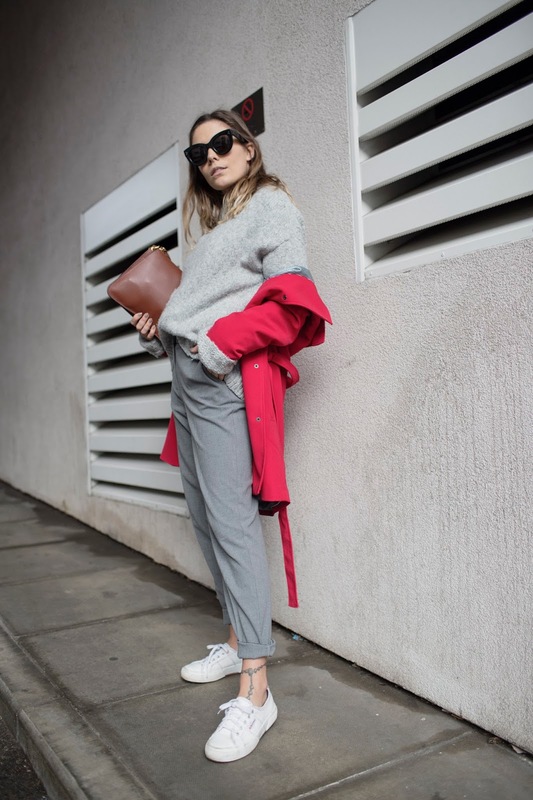 You've got to jump straight into Fashion Week with a pop of colour, and this red Tu mac is all kinds of statement. You'll see ALOT of tailoring in these three looks I've put together, but my favourite piece has to be these grey premium tailored trousers. I've rolled them up at the ankle making them the perfect pairing for a fresh pair of white trainers-These are a necessity during Fashion Week I've come to learn! 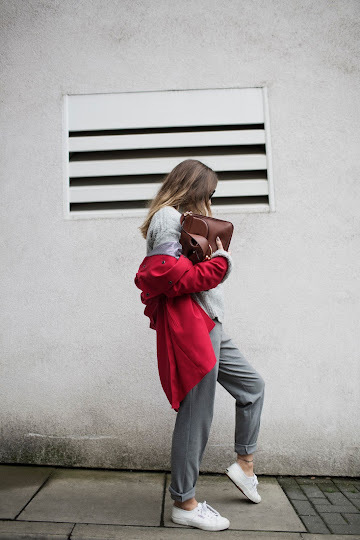 What I love about attending Fashion Week in Februrary is that I get to play with my layers. 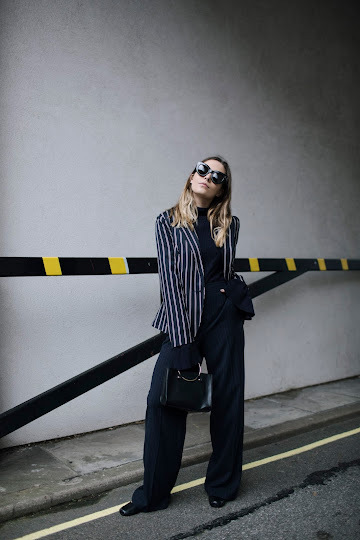 Whether it's popping a roll neck underneath a jumper, your favourite denim worn underneath a dress.. or a chambray frill shirt dressed underneath a wide leg jumpsuit. 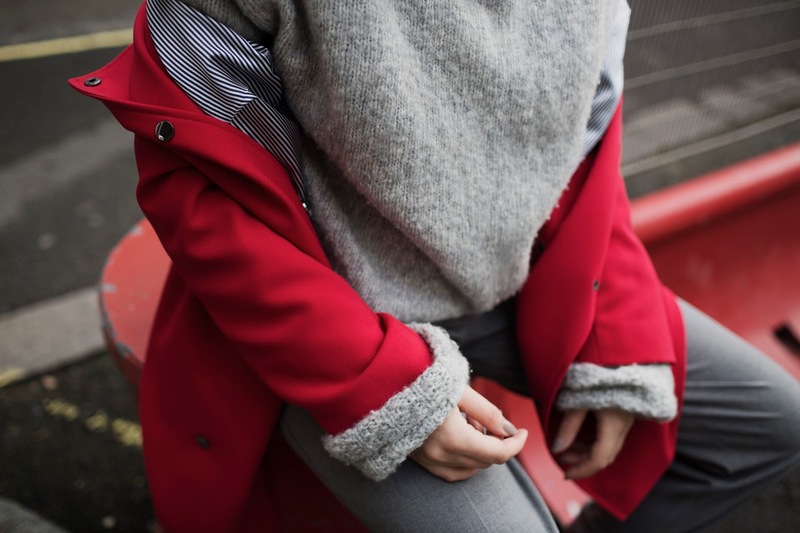 It's all about experimenting, but at the same time dressing for the season. I LOVED how this look turned out. 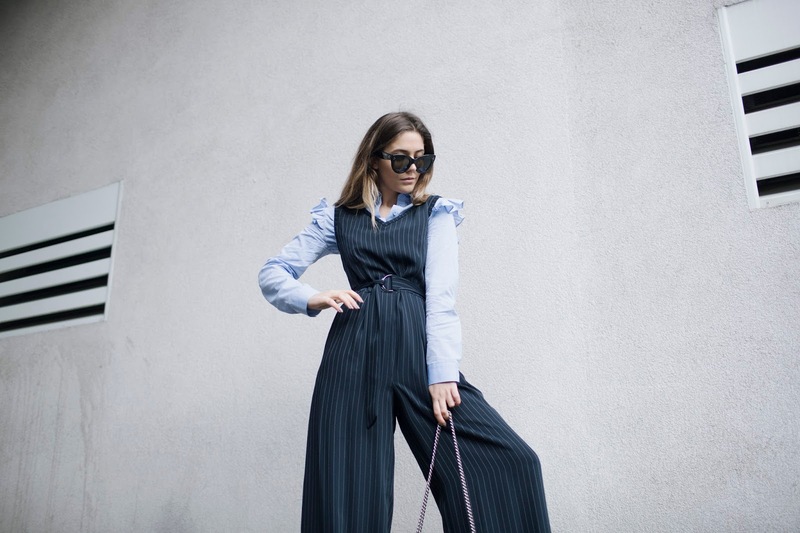 The belted jumpsuit really pulls the waist in and draws all the attention to those epic frilled sleeves. It wouldn't be Fashion Week without some kind of print clash. So of course I had to take advantage of the pinstriped items I saw on site! 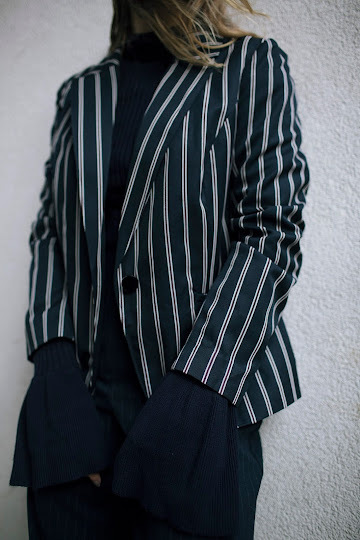 This premium stripe blazer is exactly what my wardrobe is calling out for. (Both for Fashion Week and in my day to day wearings! Imagine how it could look with a pair of straight leg jeans!?) 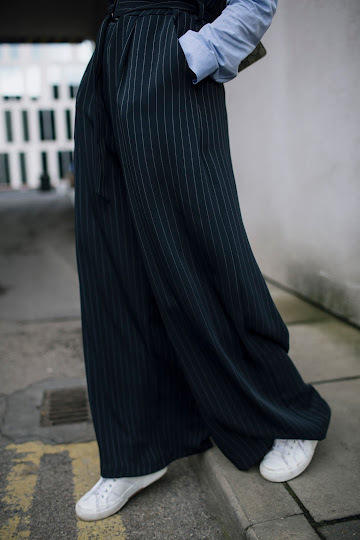 I chose a pair of wide leg pinstripe trousers which I think looks amazing when worn together. The use of navy and mix of textures look beautiful together. This post was made in collaboration with Tu. Love your style! The last look is amazing! Nice clothing collection ! In the domain of beauty and fashion, many of the Korean beauty blogs are getting popular these days.You must read one of them for their quality content and super beneficial tips. Loveeee these outfits, all look beaut! Fabulous looks, my fav are the 1st and 2nd! !